Every copy ordered would be shipped by Orca so you don’t have to do any of the heavy lifting. We will track how many copies your organization sells and send you an update monthly. We suggest keep a public record of how much you have raised: on your website, in your school foyer or somewhere visible, and raise awareness and excitement among your students. Orca will be doing social media cheering on anyone who is fundraising with Stepping Stones. At the end of your fundraising term (we suggest 4 or 8 months) Orca will provide you with a final tally of books sold and a cheque for the money your organization raised. These funds are intended for your local resettlement agency. If you need help finding the appropriate place to donate to, we can help. We hope your organization will take a cheque down to your local resettlement agency and take a picture and put it up on social media. 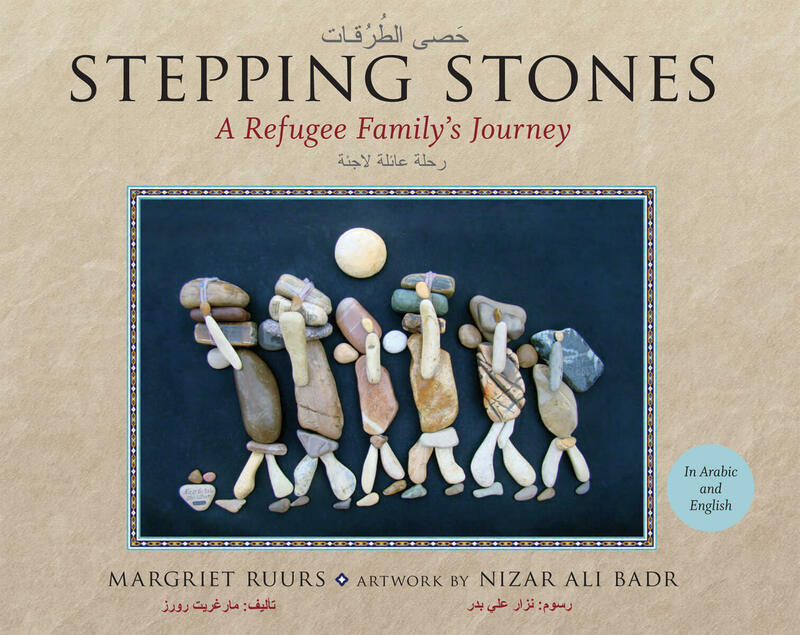 Please tag Orca (Twitter, @orcabook or Instagram, @orcabookpublishers) or use #SteppingStones in your social media posts so we can augment your efforts and help spread the word. Orca is committed to literacy and education. Stepping Stones is a way for us to help welcome new Canadians and find a practical way to give them a good start in Canada. We also hope to raise awareness about the Syrian crisis and forge new connections in all of our local communities and across Canada. We hope you’ll be a part of this with us. Brilliant and beautiful and inspiring. A book that should be read with every child in the world! An instant classic as solid as the stones on which it is based!